Goodbye my obsession for tzatziki and hello to my new love affair with Jamaican food! I recently returned from a spectacular spring break–one that was many firsts for me. My first time on a cruise, my first time in Jamaica and the Grand Cayman islands, and my first time experiencing the food all these wonderful places have to offer. While my spring break could not have been any better (the sun, the warm weather, and the glory of not wearing a single article of winter clothing), there is one thing I can not get off my mind: the endless amounts of Jamaican barbeque I experienced. 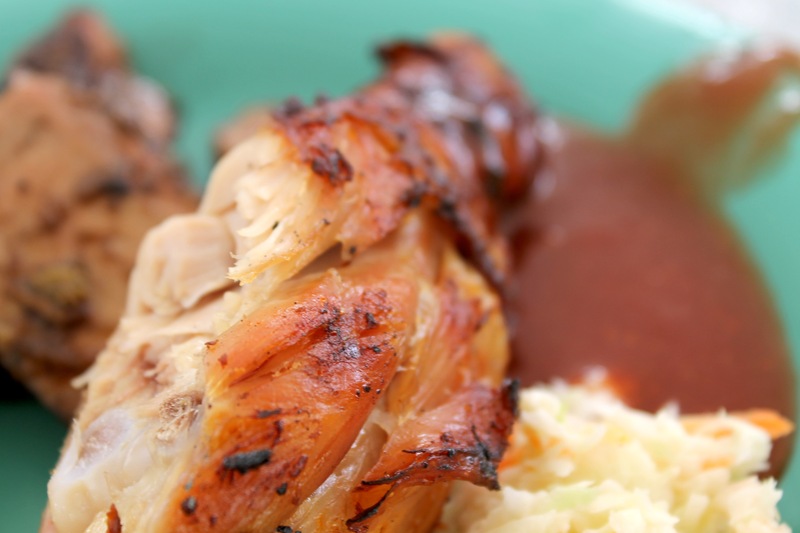 There is something about that Jamaican BBQ jerk chicken that kept me coming back for more. My love affair started when our cruise ship docked into the port of Falmouth, Jamaica. From there my friends and I hopped on a bus and headed to the spectacular beach. The trip included lunch, leaving us not sure what to expect. But oh did I ever underestimate the lunch we had. I practically ran over to the buffet table and started to fill my plate with seasoned rice and beans, grilled corn, jerk style pork and BBQ jerk chicken. The flavors of all these foods combined was all one could ever imagine. The meat practically melted in your mouth. The sauce accompanying the meat left you wanting to lick your plate clean. I stopped counting how many plates I went back for, and it’s probably for the best. Lunch was easily the best part of my day. 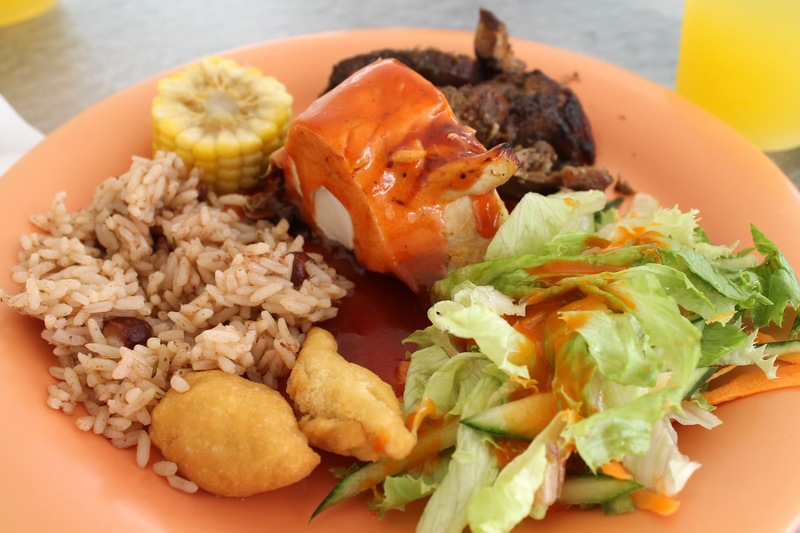 It’s going to be hard to even come close to finding the food I ate that day in Jamaica in Boston–if anyone knows of a place, I will be forever grateful. Needless to say, I will be on the hunt. If I could, I would fly a private jet back to that little beach where they cooked the food right in front of you and consume as much Jamaican food as humanly possible. But until next time, keep eating!